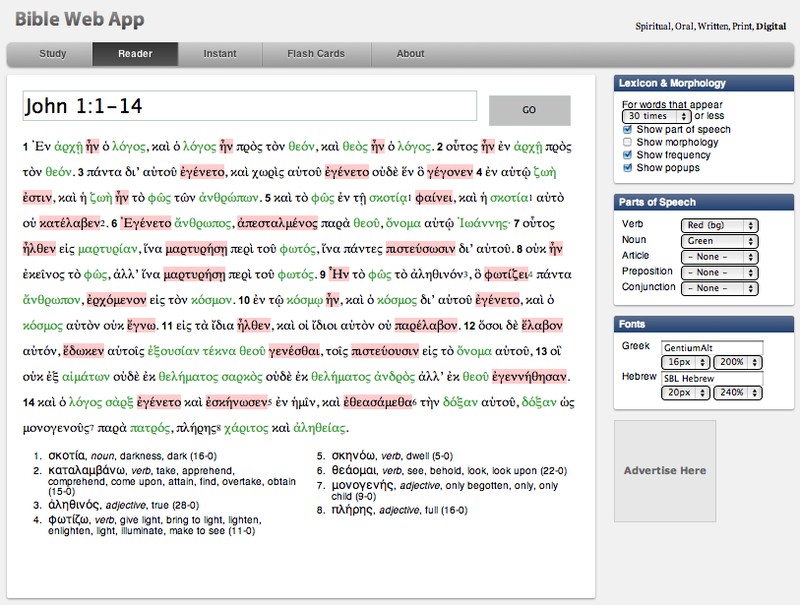 Online Greek & Hebrew Reader’s Bible (Analytical) | "It's All Greek to YOU!" this seems like a great Greek translating tool but I don’t seem to be able to access the analytical lexicon. what do I click on to get it? The link to the analytical lexicon is embedded in the boldfaced text within the blog posting. I’ve also pasted it in (below) for you to see and click on. I’ve amended the posting to make the process a little clearer. Hope this helps in your studies.